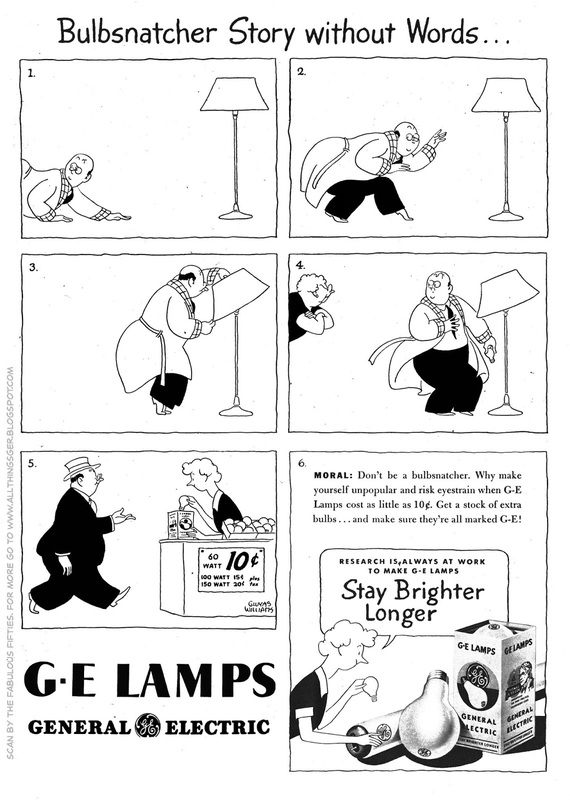 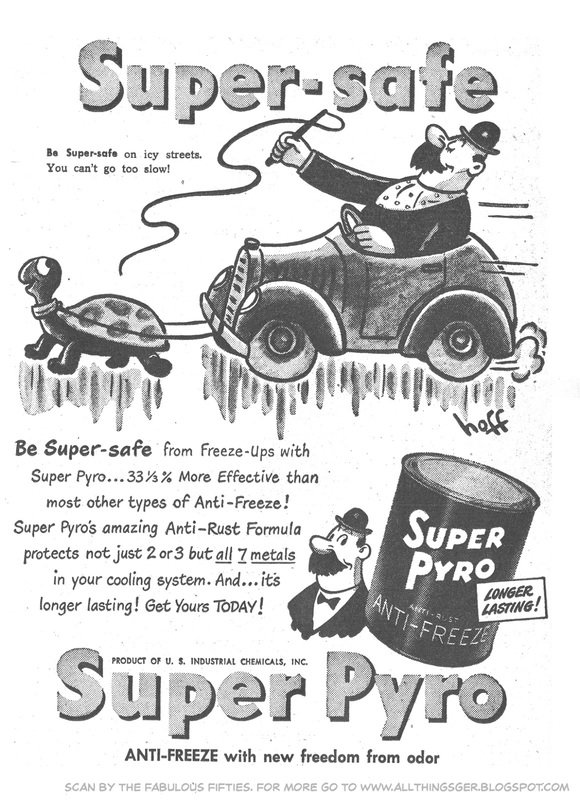 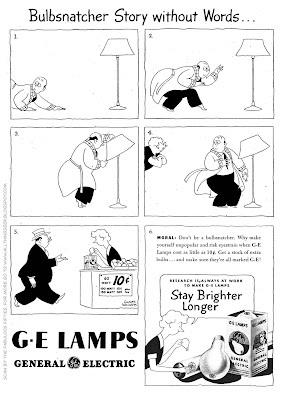 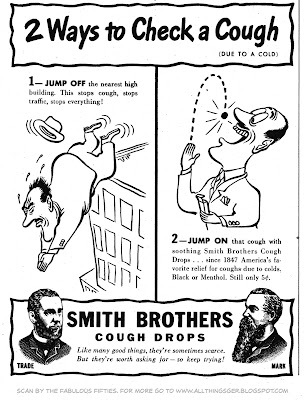 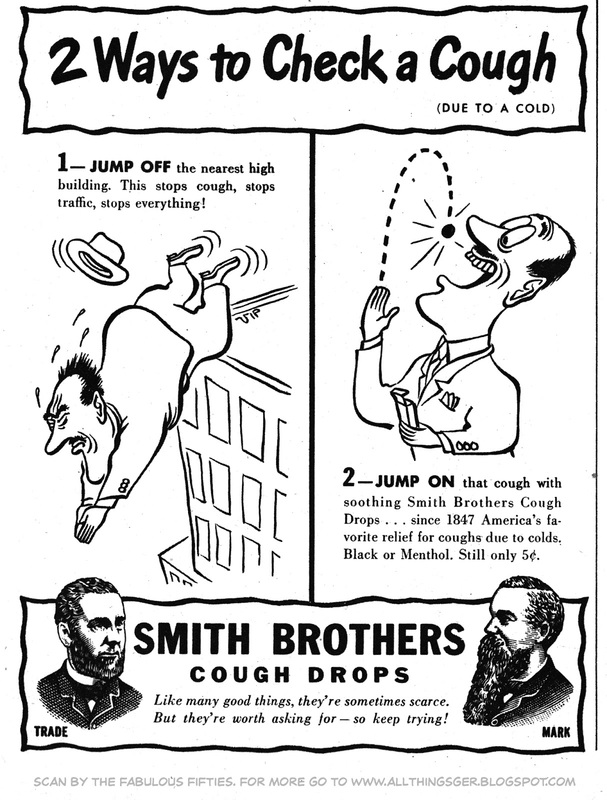 Just as comic strip as were a staple of Sunday newspapers in the forties nd fifties, cartoon ads were very frequently used in magazines. 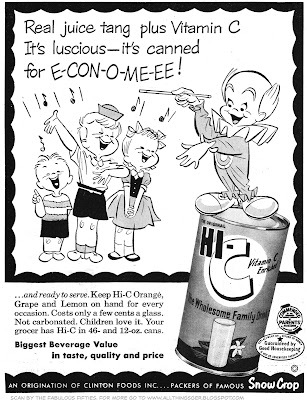 Often using the same artists that were doing the cartoons in that same magazine. 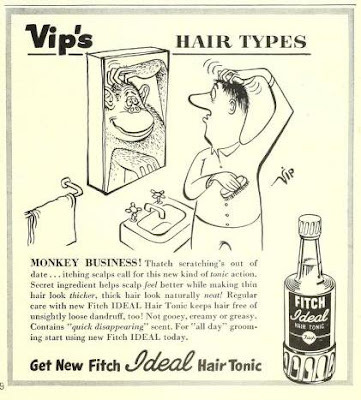 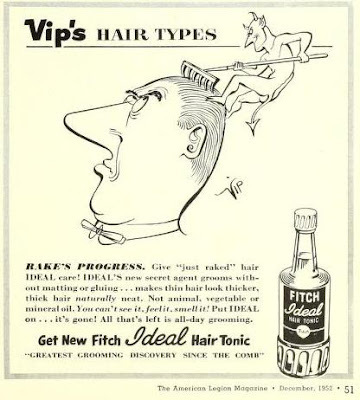 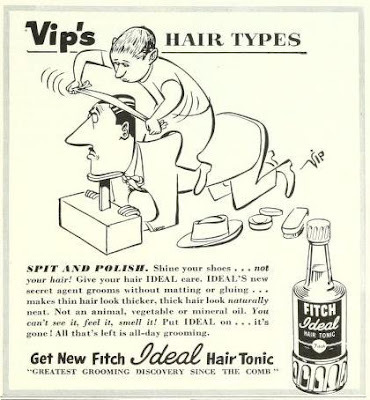 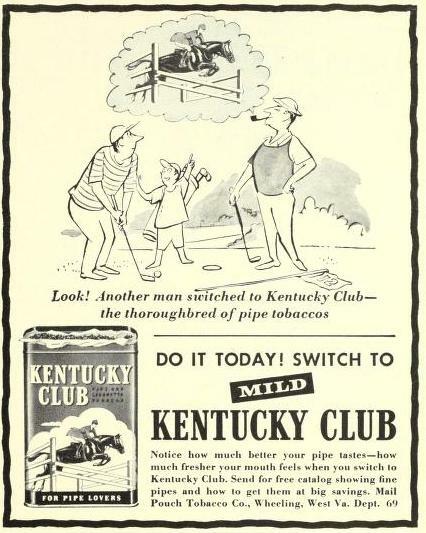 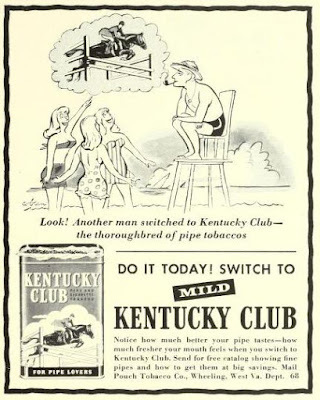 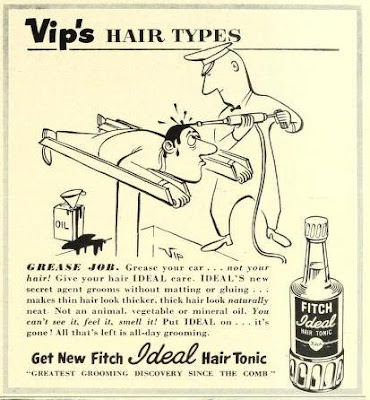 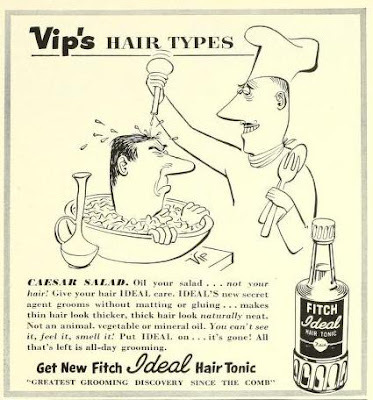 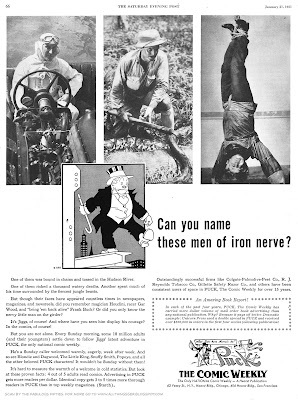 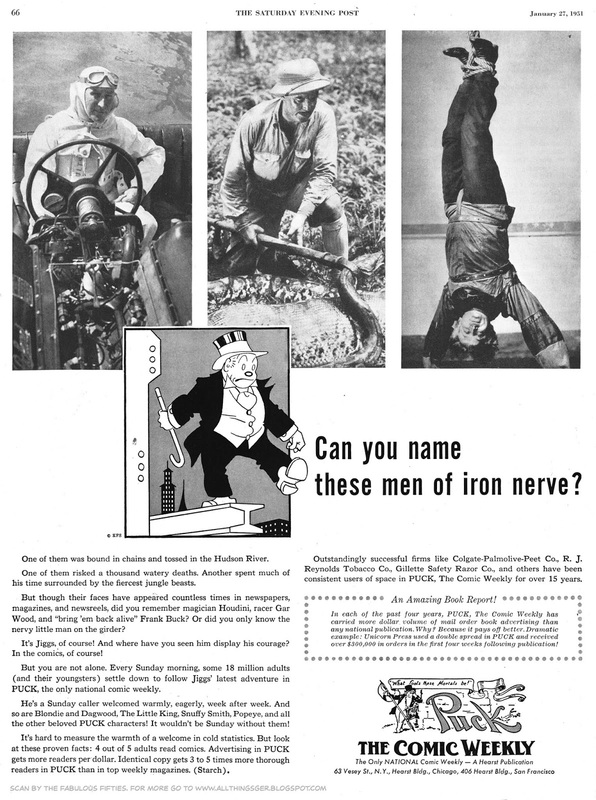 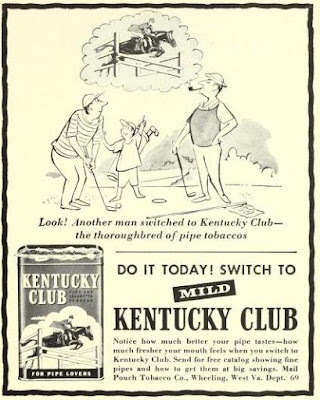 Of course Virgil Partch was a favorite, adding a sense of absrudity to the ofen dull ads. 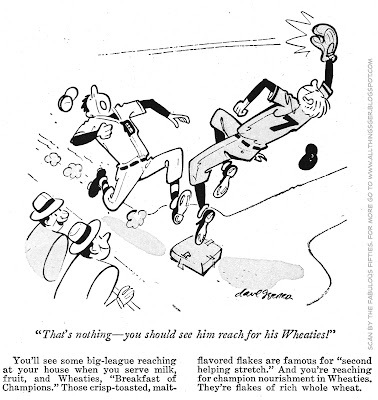 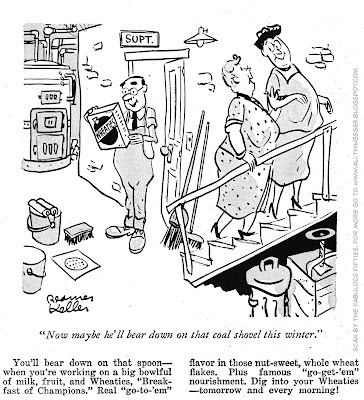 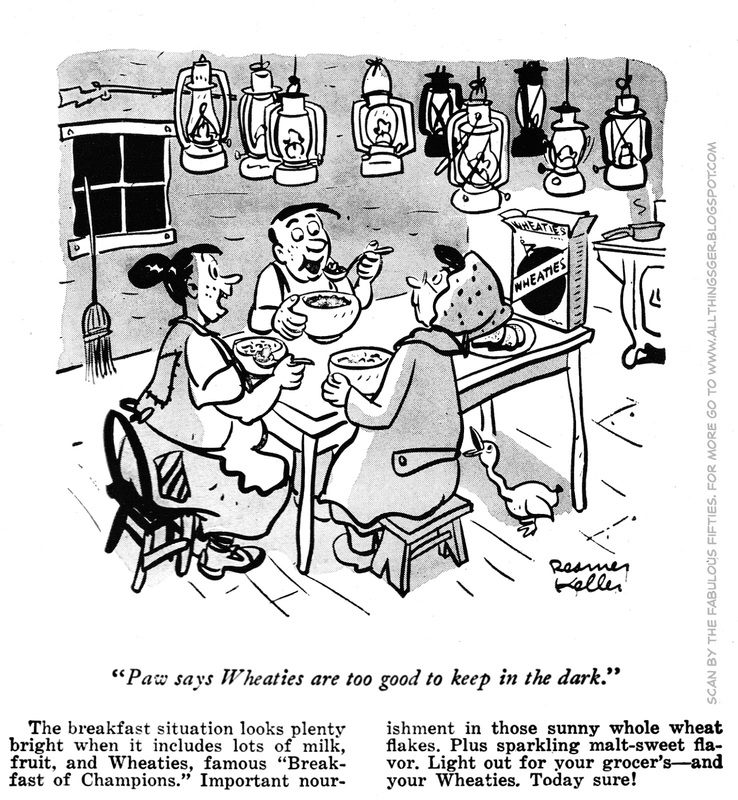 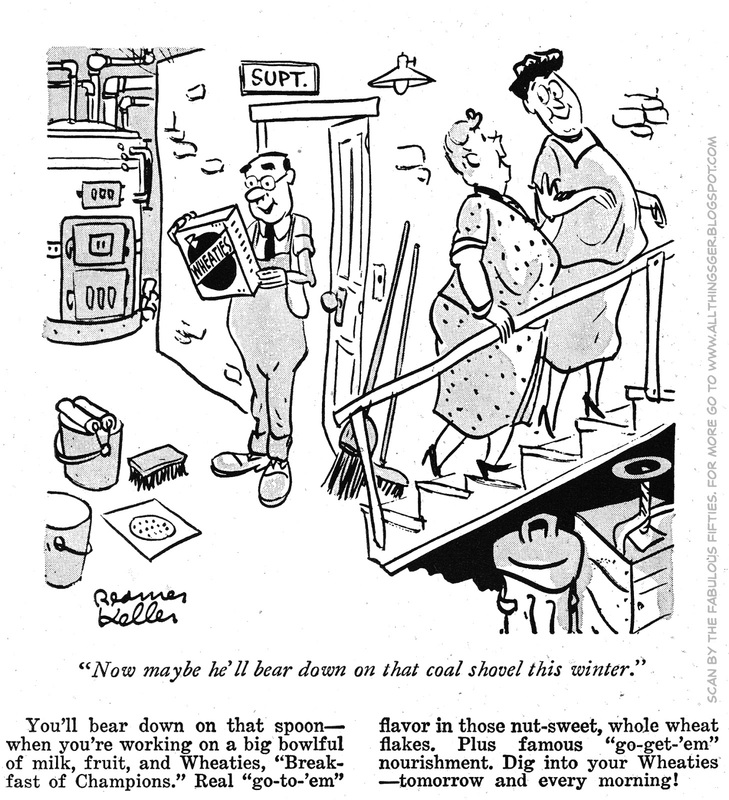 Sam Cobean ,a great cartoonist who dies too young in the early fifties, was used a lot as well.